eCigarettesWorld.ie uses DPD Couriers, Express Post and Registered Post to deliver your order safely and on time. Orders are shipped Monday to Friday, except weekends and bank holiday. If the order is made before 4.00pm Monday to Friday your order will be shipped the same day and delivered to you within 1 - 3 working days. DPD Couriers do not deliver packages on the weekends and bank holiday. Tracking information will be sent to you by e-mail after 4pm on the day in which package is sent. The tracking number will be registered after 7pm in the DPD system Monday to Friday and than your tracking number start be active. We do everything we reasonably can to satisfy our valued customers, but one thing we have absolutely no control over is your correct delivery details. Tracking information will be sent to you by e-mail after 4pm on the day in which package is sent. The tracking number will be registered after 7pm in the system and than your tracking number start be active. We do everything we reasonably can to satisfy our valued customers, but one thing we have absolutely no control over is your correct delivery details. Please ensure that someone is at home to sign for the parcel. (This can be you, your friend or family member). If the postman could not find anyone at the address, package will be available for pickup at your nearest Post Office. If the order is made before 4.00pm Monday to Friday your order will be shipped the same day and delivered to you within 2 - 4 working days. If the order is made before 4.00pm Monday to Friday your order will be shipped the same day and delivered to you within 4 - 7 working days. 1. Deliveries are made throughout Europe. It is your responsibility to check your local laws regarding electronic cigarettes prior to placing your order. eCigarettes World is in no way liable for products that are illegal in your locality. 2. Before accepting a package from postman / courier please check if it is not damaged in transit.If the package bears damage marks you should not accept shipments. In the presence of postman /courier make a damage report and contact us as soon as possible to clarify the matter. If it happens that something is missing in the consignment or the level of nicotine e-liquid is different than the one that you ordered. Please let us know about that within 2 days of delivery. Short message and photo will be very helpful (email: info@ecigarettesworld.ie). Reports after that time period will not be considered. - if the package is not delivered within 7 days we make a claim for delayed delivery and we are waiting for a response from the An Post / Fastway. - If the situation has not been resolved within two weeks we make a claim for the missing package, and we are waiting for a response from the An Post / Fastway. 4. 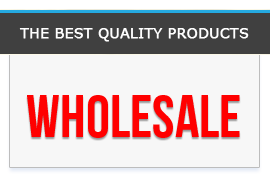 We do everything in our power to offer the fastest shipping, lowest prices, and best customer service in the industry. We do everything we reasonably can to satisfy our valued customers, but one thing we have absolutely no control over is the package once it has been handed over to the Post Office / Fastway. Customer from outside Ireland choosing delivery via Standard Post does so at their own risk. As such, we absolutely do not guarantee your package will be delivered to you under any circumstance whatsoever. There are NO EXCEPTIONS to this rule. As a form of delivery we suggest Registered Post with tracking number. 5. If the package is returned to us because it was not received from the Post Office or was given the wrong address, the customer will be charged for the costs of re-delivering: Ireland €5.00, Outside Ireland €10.00. 6. If customer return to us a fully working product called as a faulty. The customer will be charged for the costs to re-send item Ireland €5.00, Outside Ireland €10.00.